. Published on August 20, 2015 . Still dreaming about soaking up the Caribbean sunshine on a luxury cruise line? You’re not alone. We’ve been there, too, day after day wondering about the best cruise on a tight budget, or for kids, or for shopping. In an effort to make your life easier, we scoured the Internet to find blogs all about cruises and started with a list of over 100. Next, we reviewed each blog to confirm that it was really about cruises and the cruise industry. This narrowed the list down to 54 blogs, due to some blogs not existing any more or not having been updated for years, etc. We then put together a spreadsheet with each blog and all of its posts published from January 1, 2015 through August 6, 2015. 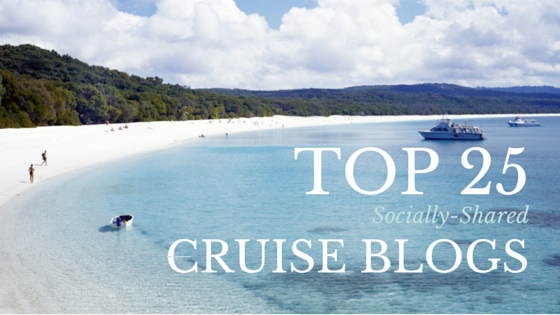 Which of these cruise blogs is your favorite and what do you like most about it? Share your thoughts in the comments.